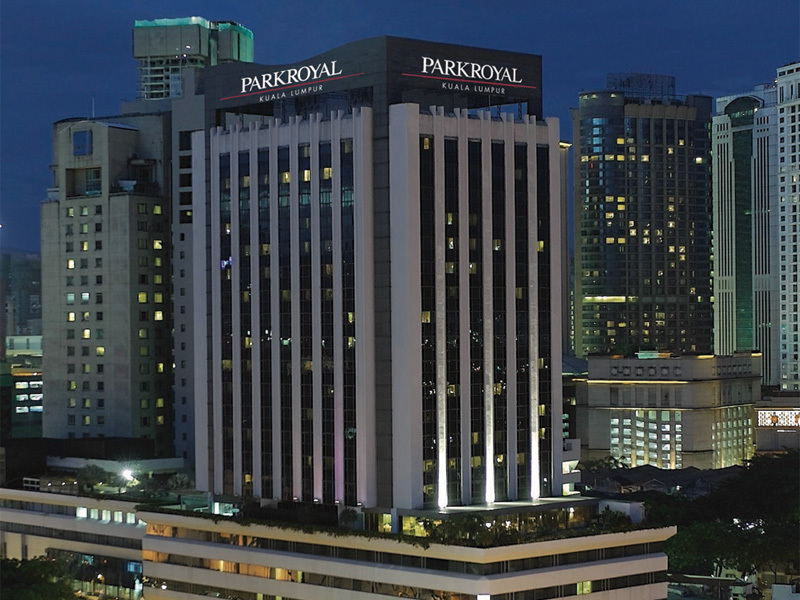 Ideally located in the heart of the city’s Golden Triangle area, the PARKROYAL Kuala Lumpur hotel is just minutes away from the business, shopping and entertainment hub. All rooms and suites offer stunning views of the city’s skyline and the Orchid Club rooms provide an added level of comfort. You can make use of the boutique, babysitting service, 24-hour room service and restaurant. The Superior Rooms offer stylish comfort for up to two guests. Floor-to-ceiling windows with views of the Kuala Lumpur skyline offer plenty of natural light. A comfortable base for shopping and sightseeing, these cozy rooms also feature a pleasant workspace with complimentary Internet access and a selection of television channels. 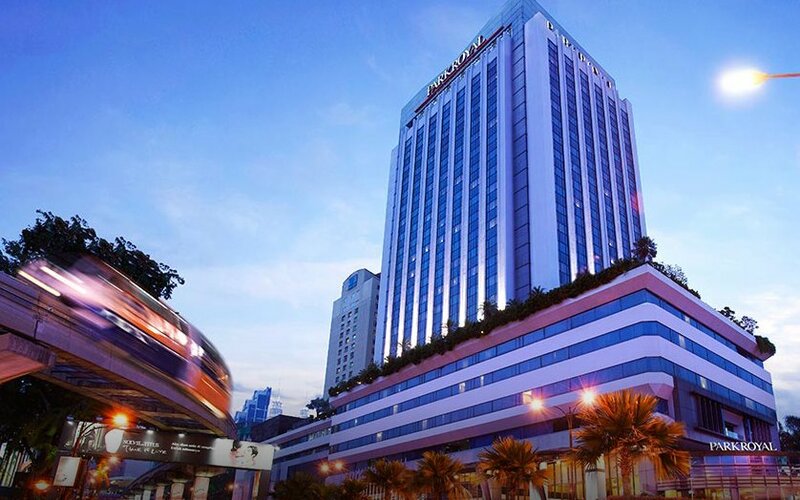 These spacious Deluxe Rooms overlook Kuala Lumpur’s vibrant skyline and feature contemporary furnishings and modern amenities, complemented by soothing palettes and elegant local design. Enjoy the convenience of complimentary Internet access, and a selection of television channels. These spacious Studio Suites feature a large bedroom with separate lounge area. Reflecting chic urban living, the modern and comfortable interiors are set against Kuala Lumpur’s panoramic city skyline. Complimentary Internet access keeps you connected while a comfortable workspace helps you stay organised. The Premier Suites are generously proportioned corner suites with a large bedroom and separate living area. Set against panoramic views of Kuala Lumpur’s bustling skyline, you’ll discover stylish and comfortable interiors complemented by modern amenities such as complimentary Internet access, a choice of television channels, and a marble bathroom designed with his-and-hers vanity areas. The Royal Suite features generous and distinctive spaces for rest and recreation. The oversized bedroom comes with a plush super-sized king bed and an ensuite marble bathroom with his-and-hers vanity areas. The living area features a kitchenette, a guest powder room, and an elegant dining space perfect for entertaining. 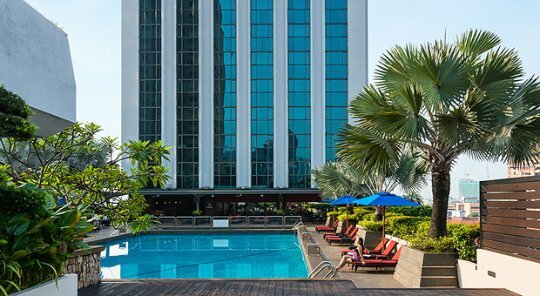 The lavish experience is complemented by soaring views of Kuala Lumpur’s skyline. Complimentary Internet connectivity, a fully-stocked minibar and a selection of television channels are also included for your convenience. Note: All the Suites entitle you to enjoy Orchid Club privileges, which include lounge access, personalised check-in and check-out, daily breakfast, refreshments and evening cocktails, laundry or pressing service for up to two garments per day and other exclusive benefits. The Orchid Club Deluxe Rooms appeal to the busy executive who prefers greater privacy and comfort. These stylish rooms feature large bay windows offering panoramic city views, an executive workspace, and complimentary Internet access. Unwind with the selection of television channels, sink into the plush bed or have an invigorating soak in the deep bathtub. The Orchid Club Premier Rooms appeal to business executives who appreciate extra comfort and space. This light-filled and vibrant environment features bustling panoramas of Kuala Lumpur, an executive workspace, and complimentary Internet access. 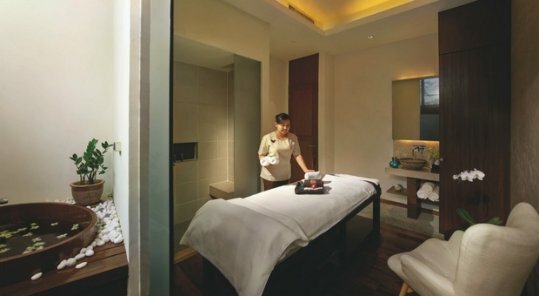 To unwind, enjoy a selection of television channels, sink into the plush bed or have an invigorating soak in the deep bathtub. For shopping pleasure, just walk from the hotel to the adjacent Lot 10, Bintang Walk, Starhill Shopping Centre and Pavilion Shopping Mall. 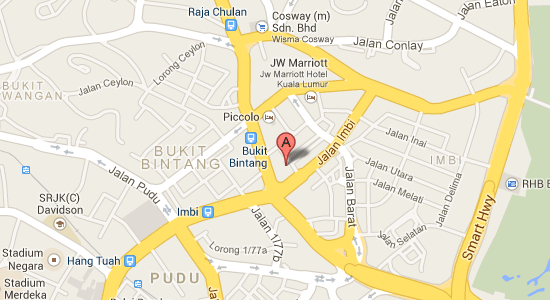 If you’re into computers and gadgets, then visit Low Yat Plaza. When the sun sets, those in the know head over to the exciting nightspots along Jalan P. Ramlee and Bukit Bintang. 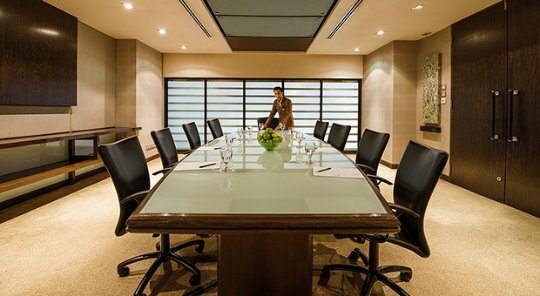 The hotel is perfect for business travelers because of its state-of-the-art business facilities, consisting of conference rooms and business center. 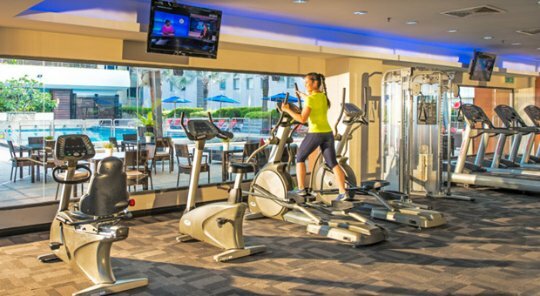 Relax at the hotel and make use of the recreational facilities such as swimming pool, massage, steam room, fitness room and sauna.